QUICK JUMP: Contestants Pageant Information How to compete in Miss International 1969? "Miss International 1969, the ninth Miss International beauty pageant, was held on September 13, 1969 at the Nippon Budokan in Tokyo, Japan for the second time. 48 contestants competed for the pageant. 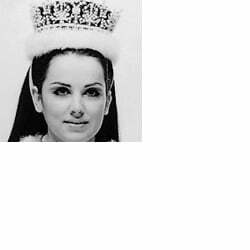 Finally, Valerie Holmes from Britain was crowned as Miss International 1969 by outgoing titleholder, Maria da Gloria Carvalho from Brazil." Great Britain would win its second Miss International title by representing as England 17 years later.